This place is awesome. Great food. Great drinks. Free wifi. 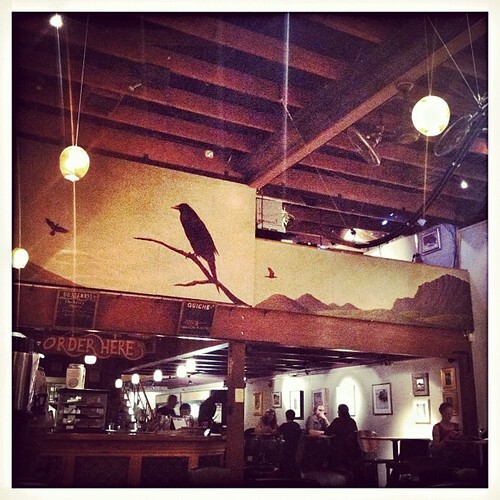 If you ever find yourself in Prescott I suggest you put The Raven Cafe on your “places to check out” list. Oh, they also play great music. What music you ask? Well, they’re playing Arcade Fire right now, which means I don’t even have to put on my headphones to rock my favorite Pandora station.